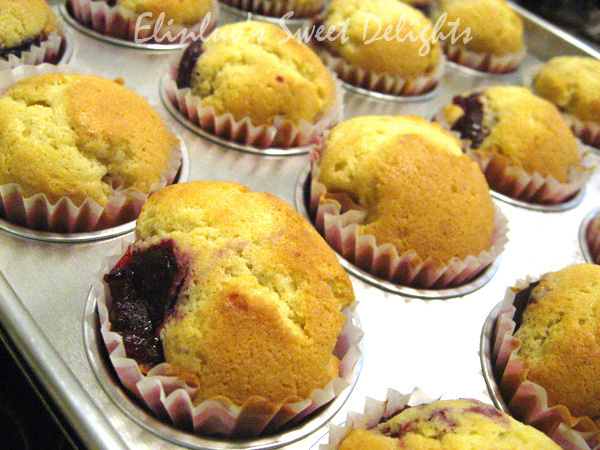 Heat the oven to 350F (180C/ Gas Mark 4 ) Line a 12 hole muffin pan with paper cases. 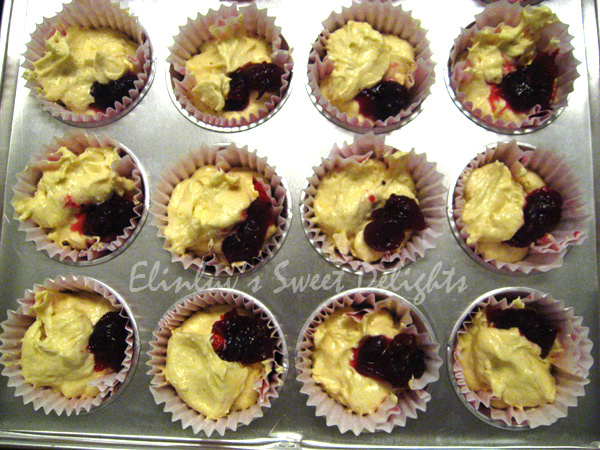 Put all the ingredients into a mixing bowl and beat well for 2-3 minutes until the mixture is well blended and smooth. 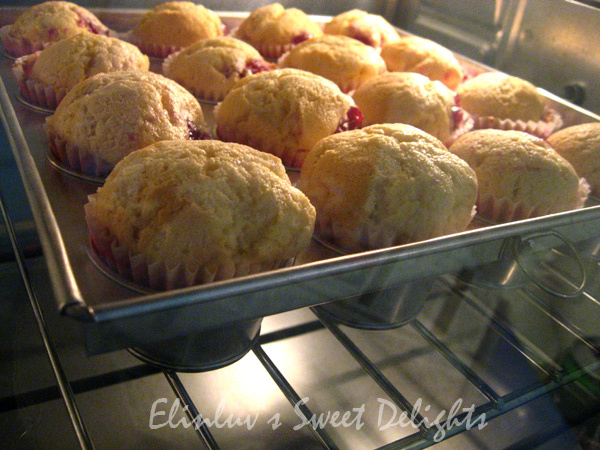 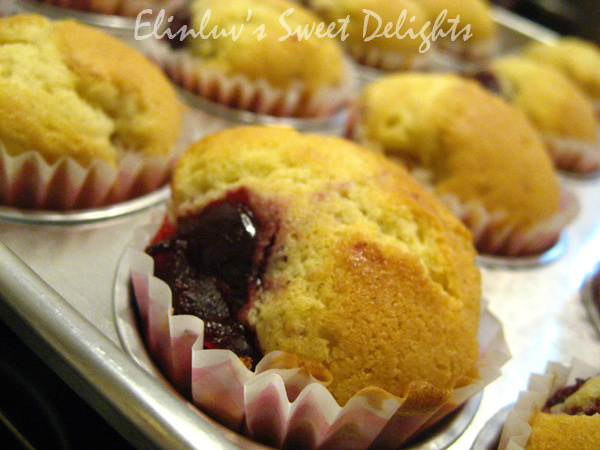 Spoon enough of the mixture into the muffin cases to fill one-third full. 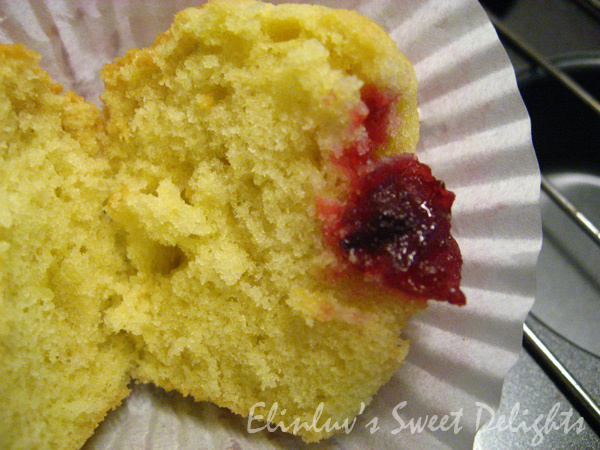 Add a good teaspoon of jelly ( jam) and cover with cake mixture.